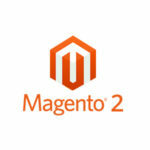 Our delivery module for Magento has been completly rewritten for version 2 of the platform. After some months of validation the extension is now on sell on Magento marketplace. This new update make the module a perfect companion for retail store chain. We deeply linked store switcher and favorite place feature when multi-shop is enabled in Prestashop. 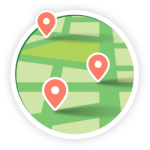 A new widget allow customer to fill his address with Google maps auto-completion to show a popup with nearest shop. When chosen, the customer his redirected to his favorite store shop. A new option allow favorite place and collection time to be selected from sliding cart block. Efféctivement ce n’est pas possible car une license est accordée sans limite de temps elle ne peut donc pas être détruite. Vous pouvez nous contacter pour que l’on vous fournisse des clés pour : – les sous domaines – des extensions différentes ex : .fr .es etc.. – pour des serveurs de test ou de pre-production (localhost ou une IP en 192.168 ne necessitent pas de clé) exemple dev.